Now the Pro Bowl is in Orlando, will anyone come? 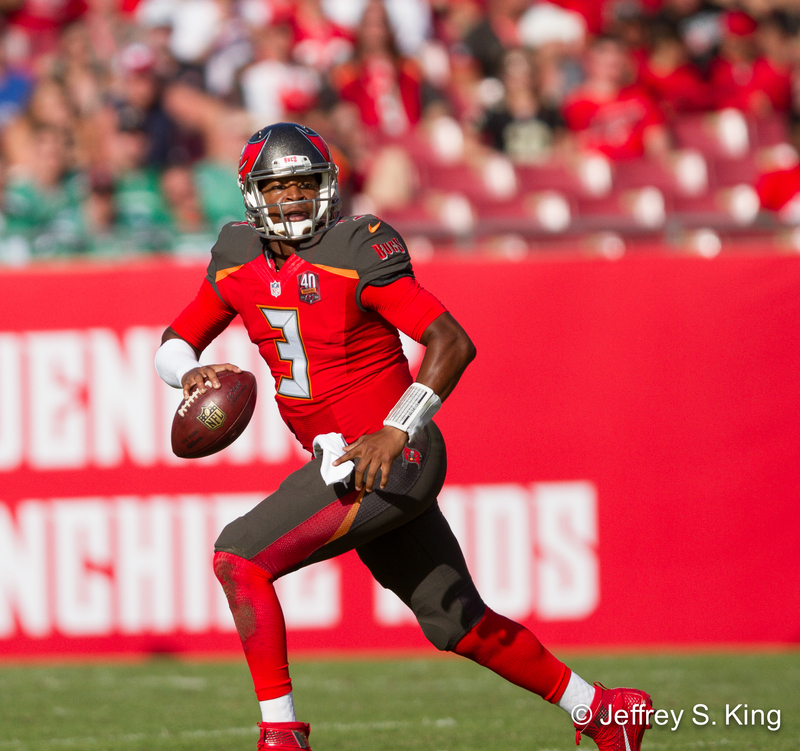 Winston could make another Pro Bowl and earn a trip to Orlando. At least it isn't Jacksonville. the league went from the land of Magnum, P.I. to the land of Shaquille O'Neal, Shazam. What? Is the NFL trying to put a bullet into the head of a football game? To use Orlando-speak, this is just plain Goofy. I kid, I kid. Orlando is a perfectly wonderful place to be stuck in a traffic jam, and it has some of the finest McDonald's in Florida. And if it can't have Shamu, at least it can have Ndamukong Suh. But for crying out loud, when did the NFL break Hawaii? Look, we can all agree. The Pro Bowl -- yippee! -- is awful. No one comes, and no one plays hard, and quarterbacks play center and wide receivers play cornerbacks and everyone tries to act as if they're in the joke. But as competition, it's truly an awful spectacle. So who cares, you ask, where it's held? Shouldn't a sub-standard game be held in a sub-standard city? Why Orlando? Well, Fort Myers was busy. The thing is, this could really spell trouble for the Pro Bowl -- hurray. I mean, what if they decided to have an all-star game and nobody came? It almost happened last year, remember? You couldn't give a Pro Bowl berth away. I think you almost made it. In all, there were 133 players selected. Forty-three players declined invitations despite the beaches and luaus. Think about it: If an all-expenses paid trip to Hawaii can't get the players to go the Pro Bowl, do you think they'll show up just because they have passes to cut in line for the Hillbilly Bears? I know that reaching the Pro Bowl is supposed to be the summit of a player's career, but is that summit really on Space Mountain? I assume part of the pull is that the Pro Bowl will now be surrounded by three franchises – Tampa Bay, Jacksonville and Miami – where the players figure to have no Super Bowl obligations. Last year, nine players came from those three teams (17 wins). I will say this: The return of the AFC vs. NFC competition is about time. This “Team Rice” and “Team Irvin” accomplished nothing but the feeding of the captains' egos. Frankly, it was stupid trying to drum up a rooting interest when Jameis Winston and Doug Martin were on different sides. Here's my idea for the Pro Bowl. Forget the game. At halftime, introduce the players for each side and send them into the stands to do autographs. No one gets hurt. No one has to provide highlights for a studio show. Yeah, yeah. There are some who would like the NFL to give the Pro Bowl the entire weekend with skills competition. Would that really float your boat? Look at who competes in the three-point shot? The home run derby? Pretty much, the stars still wouldn't come. Oh, and there is this: Hand out the Pro Bowl checks during the game. If someone doesn't show up for his, give it to charity. Put it in the form a rebate for fans who have to watch teams that win six games or fewer. That way, we can all go see the Hillbilly Bears. Courtesy of the Pro Bowl -- boolah, boolah. Previous post: Is Archer the pitcher that Hickey can’t figure out?